To get a decent POS solution, though, consider that you are aware of what exact functionality it must have on board. The more a POS system meets your business needs, the better it performs. So, if your business is just emerging, be sure to know everything you need from a POS solution, before choosing for one of them on the market. Apart from this, POS systems developers must provide relevant and trustworthy information not to deceive their customers. Due to personalization approach, some of the POS vendors can offer customizable functions and options to comply better with your Magento ecommerce development platform. In this article, we have gathered information directly from the retailers and from their official websites. That is why the best POS solutions described below are only those in which features we have credibility. The fundamental feature of the POS system for Magento Services is to create the order in front of the customers so that they can buy the products from ecommerce store as well as from physical store. As you can see, there are numerous specialized Magento extensions developed that cover up almost every aspect of your ecommerce business. Magento 2 solutions that can optimize the POS activities are very few in number because Magento 2 is still new to many of developers. Another reason is it involves the development of complex code for the integration of POS solutions. Barcode Support, to assign existing barcodes to products and scan a barcode to add products to customers’ carts. Moreover, ConnectPOS provides you seamless checkout process, that includes a 3-step checkout, custom sale, order notes, multiple tax levels, promotions, shipping, receipts, and more. The accurate process of checkout that involves fast loading and powerful performance like a native app with the support of Magento Knockout JS technology. Advanced payment processing allows quick and secure payment process for customers with different online and offline payment options. If you are looking best Magento development company, then Panacea Infotech is here for you. 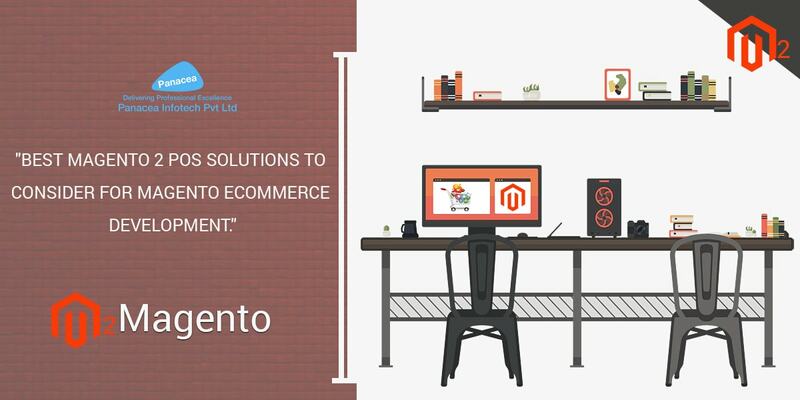 We have a team of experienced Magento developers who will help you to provide result-oriented ecommerce solutions to take your business to whole new level in the market.